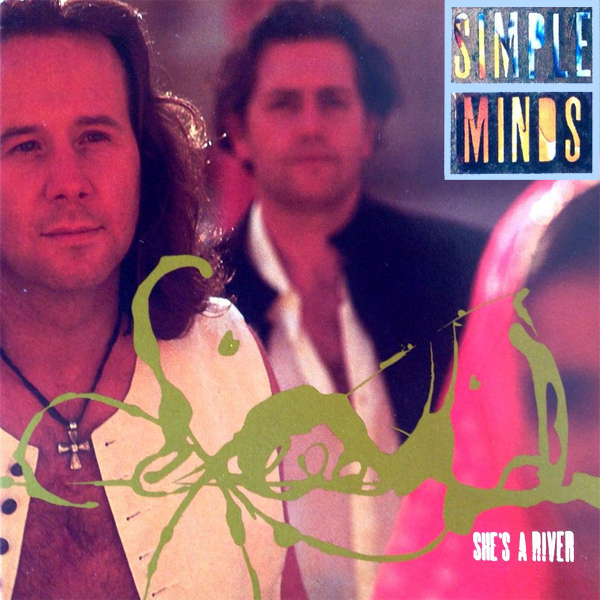 Another remix for those Scottish songsters Simple Minds and today it is the turn of their single She's A River. On the original cover artwork we find two of the band members but no river, and no 'she'. On the remix we find that the reason that she is not in fact a river, but has just decided to bathe in one, and in the process her blouse has gotten all see-through. She may not be a river but she's definitely in the flow. Rapids!